Click Here to Join Oma’s Affiliate Program! If you like embroidery and would like to make some extra money consider joining my affiliate program. By joining e-junkie as an affiliate-a FREE service-you can sell my embroidery designs through your website or email list, and make 20% profit on each sale. For example, if you promote my “Football Baby” design which retails for $14.95, I will pay you $2.99! It’s free to sign-up and all you have to do is let others know about our designs. If they buy one, you make money. There is no cost to you. To help you get started, we even have lots of great banners you can place on your site. 2. In the Affiliates box, click on the “Register” link. 4. Once you complete the sign-up form you will be sent a email that contains a confirmation code. 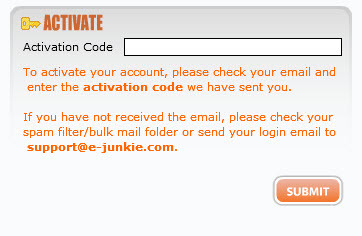 Check your email and then enter your activation code in the box. 5. Once you enter your confirmation code, you will be routed to the e-junkie affiliate admin screen that will ask for you to fill in your business name (you can use your personal name) and your Paypal address. This information is required because you will be paid your affiliate commissions via Paypal. 7. This will take you back to e-junkie. Click on “Affiliate Admin” and “Get Affiliate Code”. 9. Under “Get Common Affiliate Hop Link” you’ll see a box with some html code in it. That’s your affiliate link! You can select that html code and place it on your website, email list, etc. You can also promote individuals products by selecting the specific product you want and placing that code on your website as well. Looking for banners? We have a page full of banners, here. An Affiliate Program allows you to make money by referring customers to our website through placement of a special link on your website, email or blog. Every time a customer (referred by your site) makes a purchase of our embroidery design, you earn commission. Pretty neat huh? Absolutely nothing. Applying to and participating in our Affiliate Program is completely free. There is no application fee or minimum sales quota. How will you know that orders came from my site? 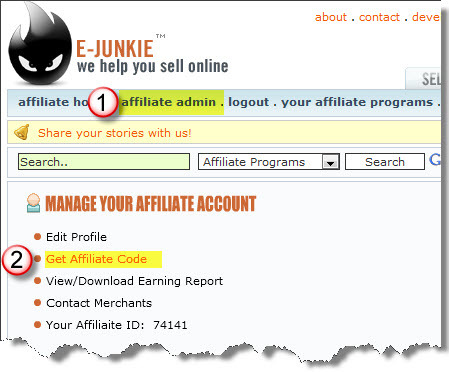 Our affiliate network partner, E-junkie manages affiliate sales reporting on our behalf. When a visitor clicks the affiliate link on your site and makes a purchase at Omasplace.com, E-junkie tracks the sale. Commissions are paid monthly to you by E-junkie. You are responsible for any taxes associated with commission fees. I wanted to let you know that I had purchased some of your kids' designs last week. The designs stitched out just beautifully and my friend said.... the burpcloths are the best gift she will get at the baby shower this weekend.